How Far is Star Homes Villa? 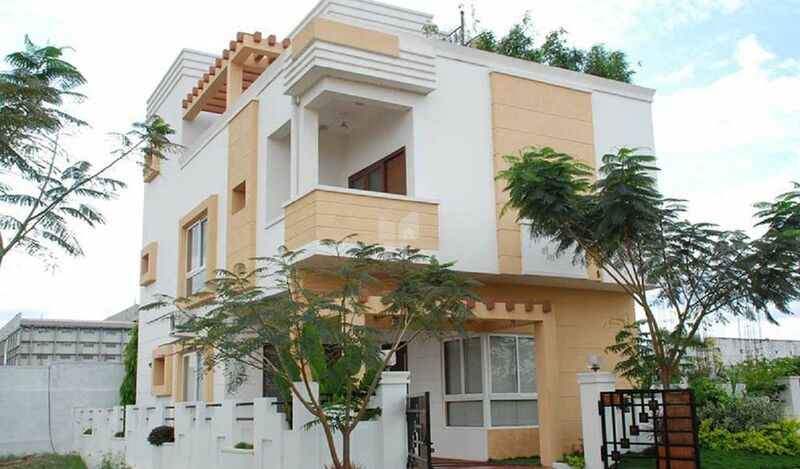 Homes Villa is one of the popular residential developments in Bala Nagar, neighborhood of Hyderabad. It is among the residential projects of Star Homes Hyderabad. It has lavish yet thoughtfully designed residences. Internal Walls : Plastering with Cement Mortar and finished in 2 stages. First with high-grade smooth wal plaster and then with high quality lappum. External Walls : Two coats of plastering with sponge finishing. Premium quality plastic emulsion paint to all internal walls. All external walls finished in 2 stages. First with high grade white cement based wall plaster and then with high quality weather-proof exterior paint / surface texture paint. Mirror-finish marble flooring in living and dining areas and superior quality rectified ceramic tiles in all other areas. Black granite platform with 2 feet glazed tiles dado with stainless steel sink with drain board. Water purifier, electric chmney, exhaust fan and geyser point in kitchen. UPVC Windows - 2 track sliding shutters with float glass and teak wood frames and windows with MS safety grills. Rectified ceramic designer tiles on floors (acid-resistant / antiskid) and walls upto ceiling level with high-end fittings. Granite counter top with under cut wash basin with single lever basin mixer and wall-hung commode with wall flush valve. All CP fittings are chrome plated of jaguar or equivalent make. Geyser and Exhaust Fan points in all toilets.